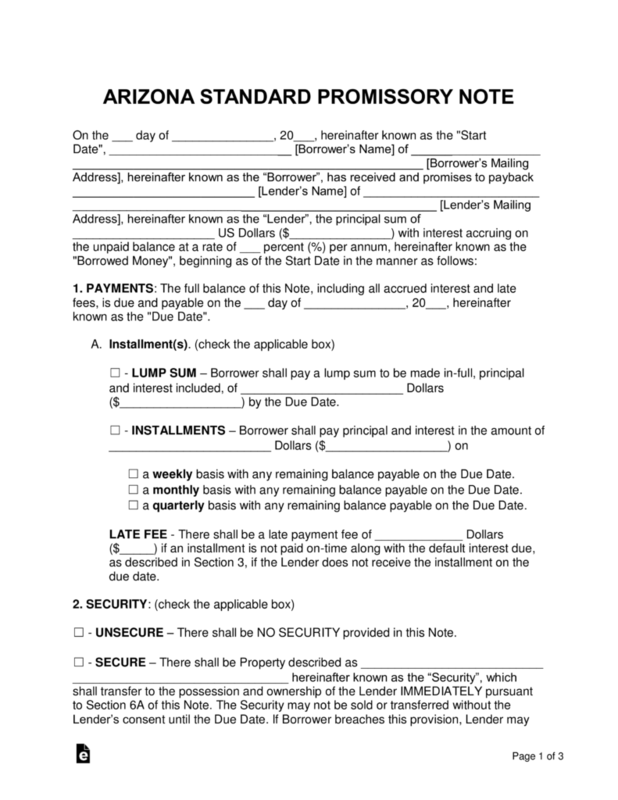 The Arizona promissory note templates are documents that solidify the act of a loan being offered by the lender to the borrower. Both the secured and unsecured versions record the parties’ personal information such as their names and addresses as well as the specifics of the agreement such as interest rates, final due dates, and installment options. 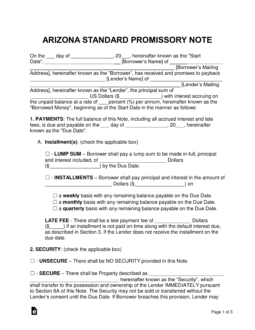 Secured Promissory Note – This version requires the borrower to relinquish a predetermined item to the lender if default occurs. Unsecured Promissory Note – This note requires an elevated level of trust between the two parties, as the lender does not receive any securities if the loan results in a default.